Prosecution has requested for a 22-year jail sentence for Mukangemanyi Rwigara and her daughter Diane Rwigara. Recently released on bail, the Rwigaras appeared before court to battle a case of inciting insurrection and sectarianism among others on Wednesday. 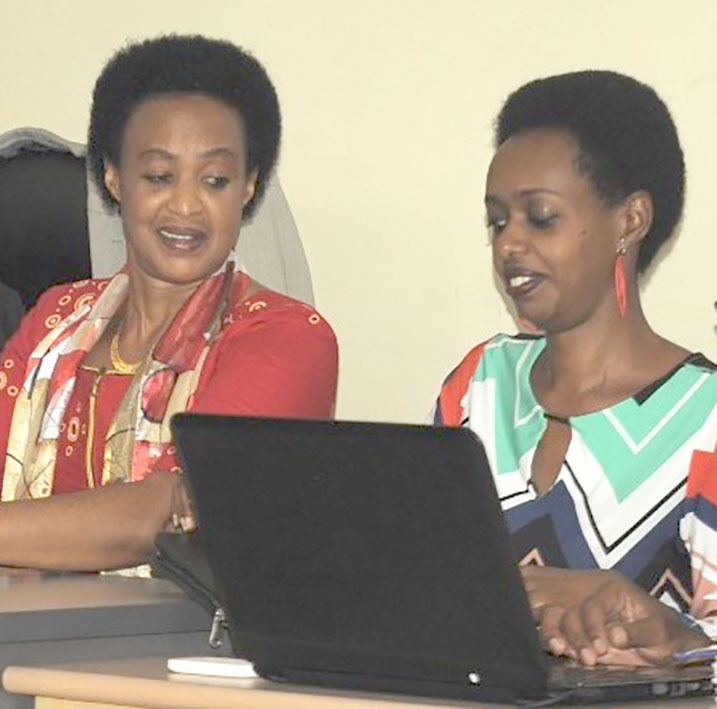 Diane Rwigara is accused of inciting insurrection and forgery while Adeline Mukangemanyi Rwigara is accused of propagating divisions or sectarianism. During the hearing Prosecution requested that Mukangemanyi be convicted for crimes of sectarianism and with her co-accused be convicted of inciting the public. For Diane Rwigara, prosecution demands for 22 years and a fine of Rwf3 million. Shima and Mukangemanyi were released on bail on October 5 this year after the High Court ruled that there are no circumstances for provisional detention. Appearing in High Court without their four co-accused, the suspects denied all allegations. Mukangemanyi who was holding two bibles in the right hand which she would raise from time to time gave detailed background of her family and her husband Assinapol Rwigara. “He was subjected to injustices. He had been harassed since 1995 until his death in 2015,” Mukangemanyi told court. Adeline Mukangemanyi said that for the court to understand her case, she has to give the chronology of events her family has been going through. However, the Judge asked how these incidents relate to the charges. Refuting prosecution allegations, she said that she does not have power to incite the masses. “How can I incite masses against the government? What power do I have to do that? I only spoke out about my pain,” she said. Mukangemanyi’s lawyer Gatera Gashabana challenged the evidence that was presented by prosecution against his client. “The manner in which these audios, which were private messages, were obtained, was illegal and violated the privacy of Mrs. Rwigara. The conversations were between relatives. These were private messages which cannot be used to incriminate someone,” Gatera said. “From the audios, you sense that this is someone who is yet to overcome the loss of her husband. There is nothing pointing towards inciting masses against the government but you rather feel someone expressing her pain. These are moral grounds the Judge should consider,” Gashabana argued. On her side, Shima Rwigara told court that she had counter allegations evidence. She also quoted other “credible publications” to defend herself in regard to her claim that country wealth is concentrated in the hands of a few Rwandans to which court asked her to present such proof. On another charge of forged signatures obtained from the deceased, Diane Rwigara vehemently denied it. “They started with accusations of 3 dead people who signed for me but in the file it is one person,” she said. He also asked that legal action be taken against Diane. The prosecutor then asked Diane Rwigara to apologise for everything she said. The hearing in this case will resume on December 6,2018 at 2pm (Rwandan time).